This entry was posted on May 10, 2010 at 7:48 pm	and is filed under Changing the World. Tagged: advertised speed, bandwidth, Bell, Canadians, Gigabytes, high speed Internet, Rogers, Tek Savvy. You can follow any responses to this entry through the RSS 2.0 feed. You can leave a response, or trackback from your own site. Why do Bell and Rogers have customers? As you mentioned, for a lot of people, they are the only options. Teksavvy is NOT available in London Ontario, so I have no choice but to go with either Bell or Rogers, or else settle for some lesser service from Execulink or something. The USA isn’t a whole lot better, with only a small handful of providers, depending on the area, but at least they still have more than Canada does. North America may think it is hot stuff, but it is seriously lagging behind in technology. I will never forget my surprise and outrage when I read about how many other countries could get 50Mbps connections for ~$20(USD) when we were paying $50 for ~5Mbps. North America constantly talks about capitalism being so great and fair and everything else being bad, yet in many ways, technology in particular, we are stuck with what are in fact monopolies which make us have to settle for expensive crap when other parts of the world far outpace us. I have been with several ISPs over the years. Way back when I had a Commodore 64 to a 286, 386, 486 and finally into the Pentiums. I have been with TekSavvy for just over 3 years. This company is above and beyond in Customer care. The quality of their service is beyond reproach and I commend them for the work and service they provide. What is usage based billing REALLY? I don’t understand what it is. I know you have to pay for usage, but I don’t quite understand what this means. 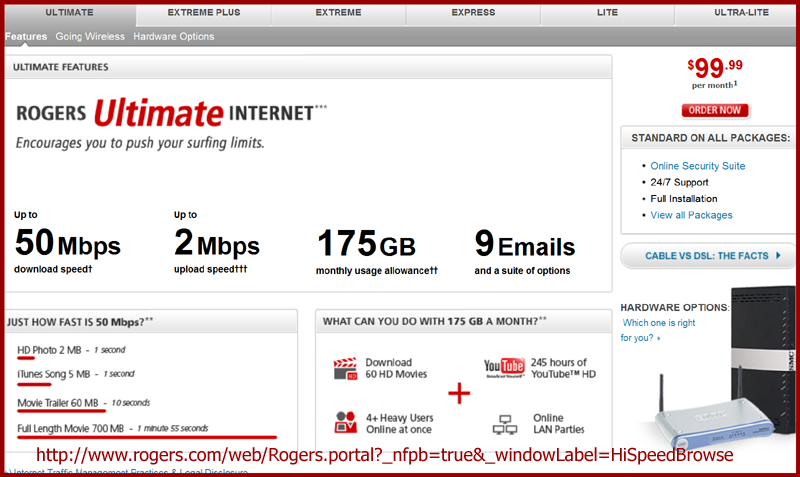 Right now, I have the extreme (I believe) package from rogers which gives me 15mb/s down 1mb/s up with 80gb of bandwidth, and if I go over the 80gb I pay an extra $1.50 per gb of bandwidth. Is that not already usage based billing, though? I read somewhere that july 1st, 2011 useage based billing will come into affect for rogers, but how is this possible when they already have usage based billing (do they not…)? Does this mean I will have lower bandwidth limits and end up having to pay more than $1.50 per extra gb over whatever outrageous new low bandwidth cap the come up with? Please help me understand this better as I am quite confused. Yes, you’re absolutely right: you are already paying for usage based billing. You signed up for that when you contracted with Rogers. But I didn’t. My internet is through an Independent ISP that connects to the Internet through Bell GAS. Now you’re wondering– a Rogers customer– what this has to do with you, right? The only reason the Internet rates you pay aren’t drastically higher still right now is because of those Independent ISPs. Competition. UBB is bad because the CRTC gave Bell permission to impose their pricing on the Independent ISPs. Bell gets to raise the rates without doing anything. They don’t need to make improvements. UBB will be ADDED to what the Independent ISPs customers pay already. 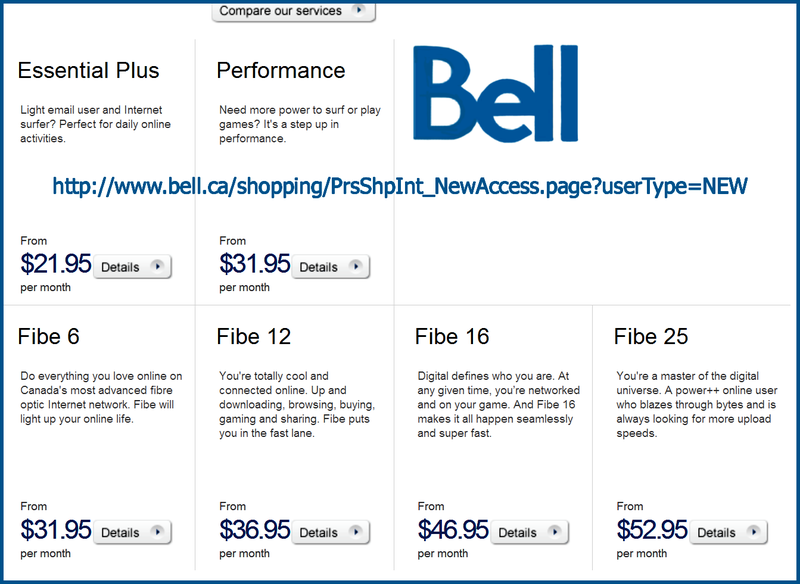 Bell asked for the increase to make the Internet more expensive ON PURPOSE so Canadians will use it less. CRTC said yes to helping Bell “manage” the Internet traffic. By making it too expensive to use as much– so that Bell doesn’t have to improve. This will raise Independent ISP rates to be as high as Bell rates. It will do one of two things (a) force the Independents to be just like Bell or (b) go out of business. Either way, consumers lose. We will be back where we were when the government FORCED Bell to open up the Internet market to Independents so that there could be competition. Once the Independent ISPs are gone, it is unlikely any more will occur in a place where regulatory action can so easily put you out of business. Prices for Bell and Rogers will go way up once the Independents are gone. The thing to remember is that right now, before UBB, the Independent ISP customers are paying way less than either Bell or Rogers customers. Because there is no UBB charged. Why don’t the Independent ISPs charge UBB? They don’t have to. The only REAL costs of the Internet access is the infrastructure: the equipment and the wires. Once that’s in place, the only cost is maintenance and upgrading. The point of charging a monthly fee is to pay for maintenance and improvement. You should understand is that bandwidth they charge you $1.50 for actually does not in itself cost them anything. But by charging it they make much greater profits. And now they won’t even have to bother with improvements. The CRTC has just given them a license to charge whatever they like. I’m living in an unlucky cursed location doomed for eternity where bell and rogers are the only options. What can you do? Either swim with the sharks or swim with the fishies! Well, I rather think both are sharks. When starting up ISPs first go to dense markets (heavily populated cities) to get established. As those markets get filled they spread into smaller markets that don’t return as much profit on the investment. The reams of advertising I am subjected to by both Bell and Rogers have convinced that the dense markets are being fought hard for. Bell wants to give me THREE MONTHS FREE and Rogers wants to give me a $200 BEST BUY CARD. What you can do is complain to your ISP and ask them why they aren’t giving *you* these offers. Aren’t you a loyal customer? But if you want change, write letters to tell the government that you want meaningful competition. If our government stands by and allows the Incumbents to kill off all the competition a second time, I think it will be far more unlikely that we’ll get another chance. Last month I went on a download spree, and not only passed my 90GB (50GB + $5/month 40GB “Download Insurance” extra perk I ordered) a month limit, but well past the $1/GB to a max of $30 …. and I ended up downloading over THREE TIMES the download cap! It cost me the extra $30 … but still, almost 300GB is a lot of data! And No nasty letter. No problems from Bell. They enjoyed getting my $30 extra. BUT …. and this is a big one, related strongly to a point made in the article …. On Legitimate websites, where I did this download spree … there was NO SPEED CAP … Files were transferring at a staggering 1.2+ MEGABYTES PER SECOND, consistently, seamlessly until I was done. OVER 300 GIGABYTES of data, unscathed by Bell’s “speed traps” …. Why? Because it wasn’t P-2-P. This both titillates and bothers me – it’s cool I can get such insane amounts of data at such groundbreaking speed, consistently (ahhh, memories of old, when praying to squeeze another 1kbps out of your modem …. now we have passed the HOLLY GRAIL of downloading, the ONE MEGA-BYTE /second mark) …. but the fact that I can “theoretically ‘abuse'” my bandwidth like that, on one type of content, but not on another, is aggravating. I’m using their services, heavily, either way …. they STILL provide me the service I paid for, a LOT for, why should I be limited at all? Nine Inch Nails released one of their albums online via Bit Torrent, because they released it in Higher-Than-CD-Quality HD FLAC format … How dare Bell slow down my download of this completely legal, legit, free, download!? You should NOT be limited at all. That’s what Net Neutrality is all about. They should not be allowed to discriminate against sites or users. Period. If there is law breaking, the forces of law should be dealing with it. ISP/Carriers are not law enforcement. Let me point out that your use of the phrase “legitimate websites” is a misnomer. P2P sites ARE legitimate. This is part of the propaganda war against consumers. They (the Copyright Lobby) want to make “download” a dirty word. Downloading is what users do on the Internet. Every email you open involves downloading. Every site your view online requires downloading. Yet respectable news media like Canada’s National Newspaper uses the word “downloading” as synonymous with “illegal downloading.” Try not to fall into that trap. Because Bit Torrent software IS legal. Canadian Broadcaster CBC has used bit-torrent. The Norwegian Broadcasting Network as well, because it is EFFICIENT. Your Nine Inch Nails story is another perfect example. Feature films like “Sita Sings the Blues” and “Die Beauty” are legally released by their creators via torrents, because torrents are an efficient use of bandwidth. On the one hand they say that bandwidth is expensive so they have to cap it and then they discriminate against efficient use of it? Torrent distribution costs next to nothing which is wonderful for Independent filmmakers and other content creators. So discriminating against p2p is bad for Canadian culture. Although I use teksavvy, they are only offering “up to 5MB/sec” as well. I only get about 0.25MB/sec due to being 5KM from some central place. I can live with this speed, but would definitely prefer at least 1+ MB/sec. TekSavvy accesses the Internet through Bell’s Gateway Access System. That’s their limiter. We’re paying for 5 and getting maybe 2.5 on average. Teksavvy has advised that we put up with it since complaining to Bell can result in having bad go to worse. There are all sorts of ways to degrade things without being obvious. In some places Bell has somewhat faster bandwidth but even though the Independent ISPs complained to the CRTC, and the CRTC told Bell to share (as I recall it wasn’t a huge difference, maybe 7mb or 9) Bell has so far not shared. I’m willing to lay odds Cole here is a troll. This is an example of classic trolling method… start with a backhanded complement in an attempt to flatter me into publishing it along with vague aspersions against my content. Anyone who actually reads this blog is well aware that I am NOT a techie, and in fact, that IS the point. This blog exists to explain computer issues to ordinary people like myself. Tech people already know this stuff. The only reason tech people might need this blog for is a place to direct their less computer savvy friends & family. Learning this stuff isn’t fun for me, it’s work, but it’s also important. A blog like this would be equally hard for a real tech person, because they don’t usually understand what we don’t get. I do research and I do actually have a few computer folk as regular readers who let me know if I mess up, and explain where I’ve gone wrong. Regarding the DSL modem purchase cost: Teksavvy charges only $75 for a Speedtouch 516 modem (down from $99 a few years ago), and the same modem is available from Acme Telephone for $50. This is the BEST COMMENT I have ever read. I don’t follow your math, am I missing something? Bell is going to release FIBE 50(50Mbps) in onterio with 100GB cap. 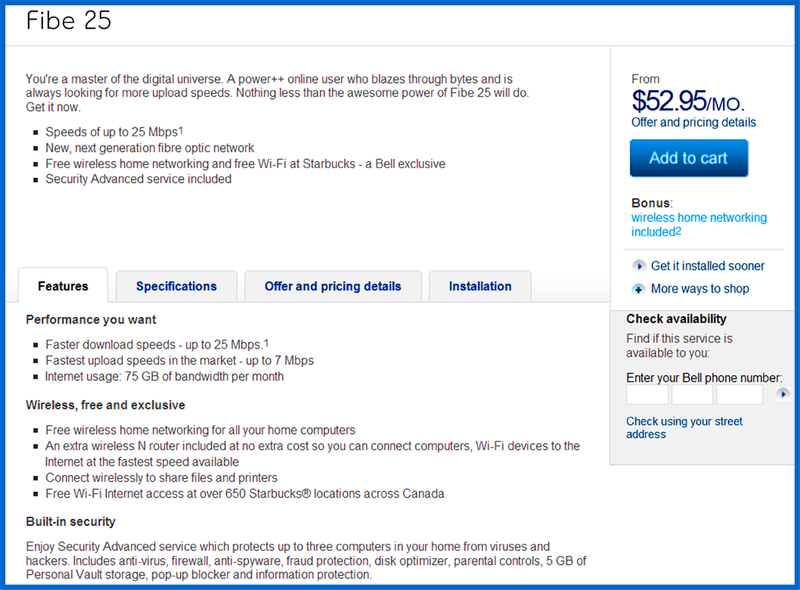 price of FIBE 175 is $250 CAD. and FIBE 50 is $77 CAD. Laurel, do you agree with the face that these monopolies along with their dictatorial “good deal” policies won’t last forever? If Bell and Rogers succeed in putting the Independent Internet Service Providers out of business via CRTC regulation, I suspect it will be a long time before Canada has any new meaningful Internet competition. So that could leave the field to Bell/Telus and Rogers/etc. At that point I expect there will be a fight to the finish and a clear victor. The clear loser will be Canada. It is really easy to get disheartened when the politicians who are supposed to represent you completely ignore the wishes of the Canadian public and make laws we don’t want.